Lot 1.18.01, Level 1 Pavilion Kuala Lumpur, 168 Jalan Bukit Bintang, 55100 Kuala Lumpur. Part of the Sushi Tei chain. From Pavilion's main entrance, turn right and immediately go down two floors by the escalator and you'll the the Food Republic Food Court. 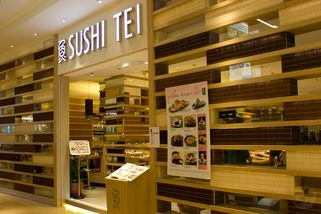 Turn right and you'll find Sushi Tei between Manhattan Fish Market and Crystal Jade. 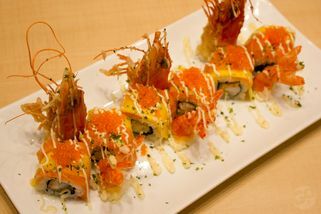 Sushi Tei offers a great Japanese dining experience. With its rustic, traditional Japanese-themed ambience with distinctly Japanese deco everywhere, it’s sure to make you feel like you’ve left Malaysia. The Pavilion outlet is located on level 1, very central and easy to spot. The restaurant itself is very big and spacious, with lots of seating inside. 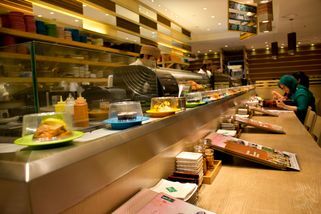 There is a conveyor belt for sushi at the restaurant—with many varieties of sushi to choose from. 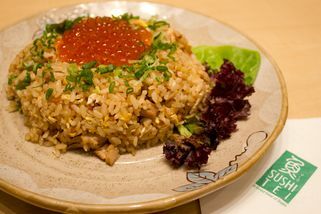 Those who are lucky enough to get seats right next to the conveyor belt can just pick out dishes they like from there, while others who are seated away from the belt can just order the sushi from any of the waiters. 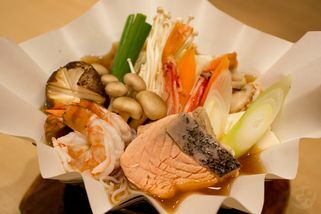 There is a huge selection of sushi, rice, sashimi and noodles on the menu. You’ll be hard pressed to find a restaurant with more choices! I've not been to here for few months, yet I still remember the name for those dishes I order always.. 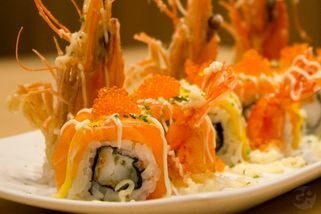 It's not easy to find a perfectly served salmon and freshly made sushi with reasonable prices.. Their services are excellent too! 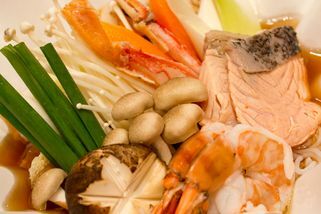 I personally prefer 'Soft Shell Crab Maki', 'Salmon Sashimi', 'Inari Kani Mentai Mayo' and 'Salmon Sushi'..
Salmon sashimi is freshly served all the time.. Definitely will come back again!